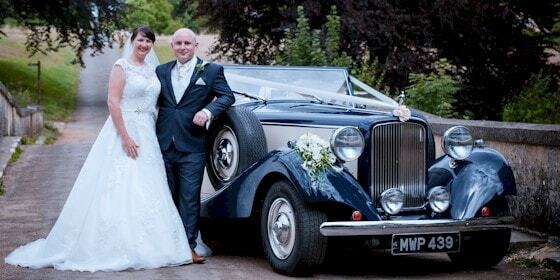 Jaguar Drophead Convertible Wedding Car Hire Service, Reading Berkshire. 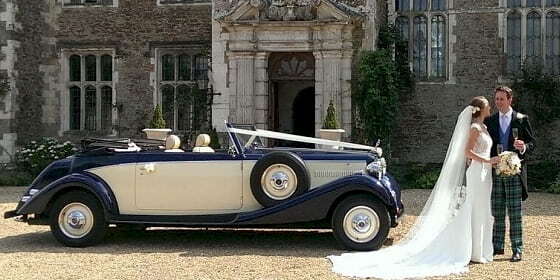 Our Jaguar Drophead convertible wedding car is a rare 1930's style convertible. 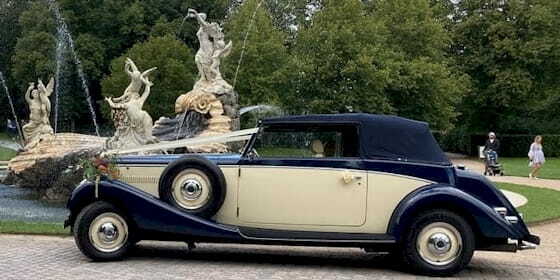 In dark blue and ivory with cream leather interior and polished walnut dashboard, it offers elegance and style of bygone days with the luxury and convenience of modern motoring. 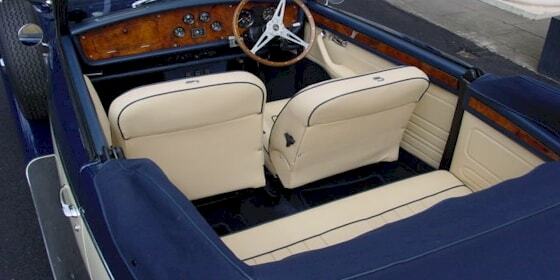 The Jaguar Drophead doors are big enough to admit the fullest of dresses with ample leg room to stretch out. 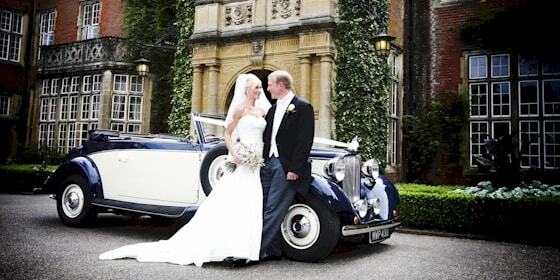 The Jaguar Royale Drophead photographed here at Waddesdon Manor, in Aylesbury, Buckinghamshire, is a super fun wedding car and, as you can see, it's fantastic for photos with the Bride and Groom. 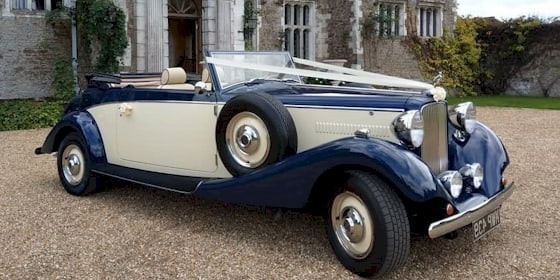 Enjoy the attention this car attracts and wave to the crowds as you pass by on your special day with its 6 cylinder Jaguar engine purring quietly in the background. Please contact Chris or Craig for a quote, or to arrange a viewing. 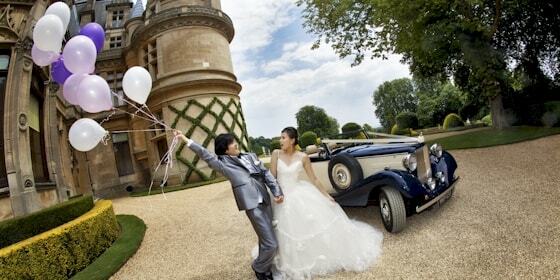 Wedding Booking Form Please use our wedding booking form to confirm booking details. 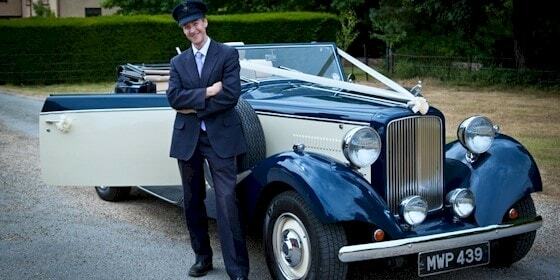 For other enquires use our ENQUIRY FORM, Telephone, or send us an Email.